A blend of fresh, natural and healthy ingredients. Use as a dressing, glaze or dip. (Product has limited availability. Please inquire with produce manager if not found). Available in portion cups (2 oz. servings). 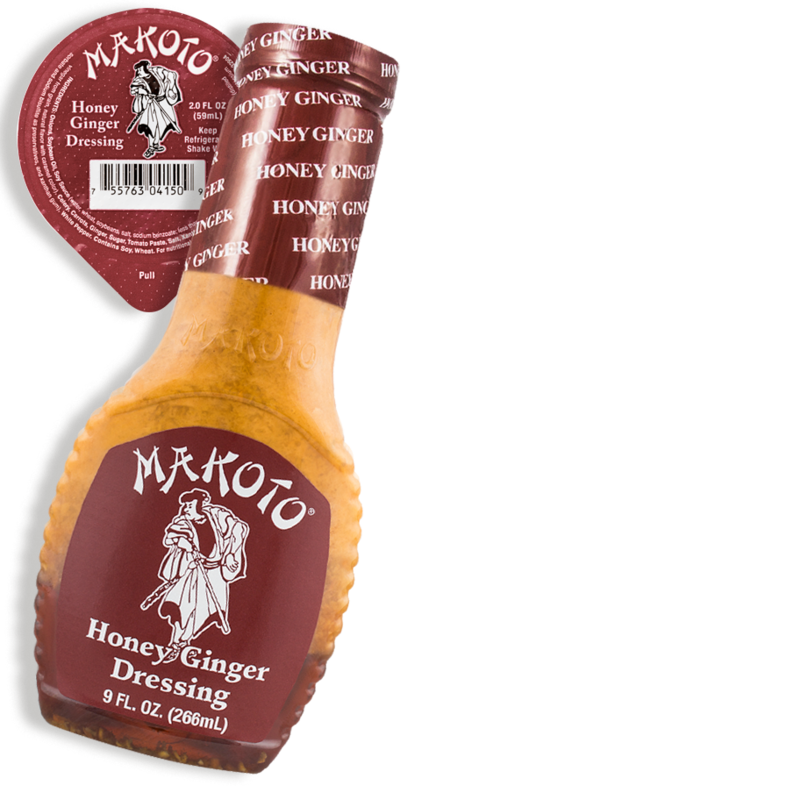 What could possibly make our classic Ginger Dressing any more delicious? How about a touch of honey? Yeah... we thought you'd like that! Of course you can use it in salads, but have you ever tried cooking with it? We've got a number of exciting recipes to try, like this one, our Baked Asian Chicken Wings. Onions, Soybean Oil, Soy Sauce (water, wheat, soybeans, salt, sodium benzoate; less than 1/10 of 1% as a preservative), Honey, Flavored Vinegar (distilled vinegar from grain, natural flavor with caramel color), Celery, Carrots, Ginger, Sugar, Tomato Paste, Salt, Hot Sauce (chili, sugar, garlic, salt, distilled vinegar, potassium sorbate and sodium bisulfite as preservatives, and xanthan gum), White Pepper.Contains: Soy, Wheat.